Here’s one for those among you that love Mick, Keith, and the rest with all your heart. 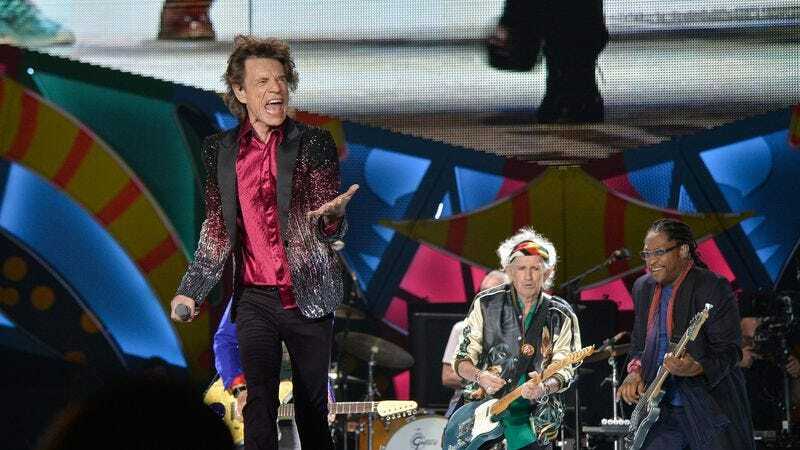 Exhibitionism, an exhibit dedicated to the history of The Rolling Stones, is now at Chicago’s Navy Pier, and we’re giving away three pairs of tickets. The endeavor boasts 500 rare pieces of memorabilia, including costumes and instruments, from the band’s archives spread out across about 15,000 square feet of space. All you need to do to enter is send an email avcontests@theonion.com with the subject line “Rolling Stones Exhibitionism” and your full name between now and next Tuesday, June 13. The tickets will be held at will call at the Navy Pier box office. You can see a preview of the show featuring Jagger fondly reminiscing about his skimpy jumpsuits below.